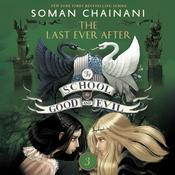 In this fifth installment in Soman Chainani’s New York Times bestselling School for Good and Evil fantasy series, the past will come back to haunt the present. A false king has seized Camelot’s throne, sentencing Tedros, the true king, to death. While Agatha, narrowly escapes the same fate, Sophie is caught in King Rhian’s trap. With her wedding to Rhian approaching, she’s forced to play a dangerous game as her friends’ lives hang in the balance. All the while, King Rhian’s dark plans for Camelot are taking shape. Now the students of the School for Good and Evil must find a way to restore Tedros to the throne before their stories—and the future of the Endless Woods—are rewritten . . . forever. 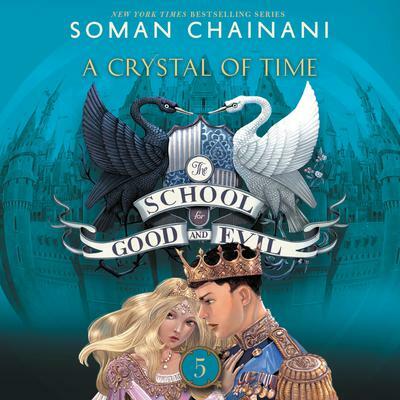 Soman Chainani’s first novel, The School for Good and Evil, debuted on the New York Times bestseller list, has been translated into languages across six continents, and will soon be a major motion picture from Universal Pictures. 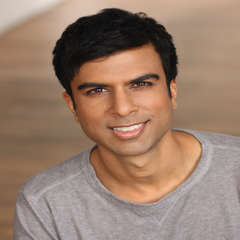 As a graduate of Harvard University and Columbia University’s MFA Film Program, Soman has made films that have played at over 150 festivals around the world, and his writing awards include honors from Big Bear Lake, New Draft, the CAPE Foundation, the Shasha Grant, and the Sun Valley Writers’ Fellowship. When he’s not telling stories, Soman is a die-hard tennis player who never lost a first-round match for ten years … until he started writing The School for Good and Evil. Now he loses all the time.